If you’re an Amazon Prime member you undoubtedly love all the benefits that entails. You get free two-day shipping on millions of items, free movie and TV show streaming courtesy of Amazon Prime Video, and about a dozen other great benefits. Now, there’s a new one to add to the list: access to exclusive discounts on some of the best-selling products on Amazon’s entire site. 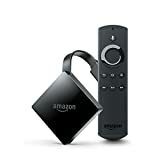 We told you earlier this week that Amazon was running a killer sale for Prime members only that slashes the price of the Fire TV with 4K Ultra HD and Alexa Voice Remote all the way down to the same price as the Fire TV Stick. Well, that sale is still live right now. If you missed it, definitely grab a 4K Fire TV for only $39.99 because this is going to be the best deal we see until Black Friday in November.